The KITO Beam Clamp is available in capacities ranging from 1t to 10t, and is adjustable to fit a wide range of beam flanges. In 3t and 5t models, two different flange ranges are available. 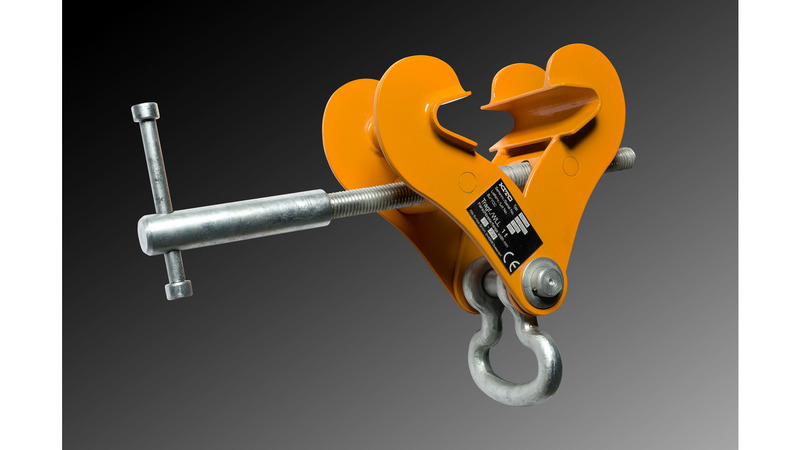 It can be used to suspend a hoist, or attached directly to the top flange of a structural beam for lifting purposes. The company believes this product will appeal to users such as heavy construction, plant maintenance, power generation, shipbuilding, general steel fabrication and offshore industries. The company reports the TK series is unique in the industry because it is suitable for angle pulling up to 45° with no reduction in WLL.